Smart Communication Philippines recently announced their latest LTE smartphone offering under postpaid plan. 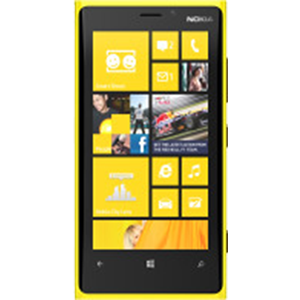 Nokia Lumia 920 is the first Windows Phone 8 handset carried by Smart with free LTE internet on Unli Data Plan 1500. The plan comes with free 60 minutes call, 120 texts to all networks and 1.5 GB of data. Availing this under LTE Plan 1500 cost you a one-time phone payment of 6000 pesos and 2500 pesos if you avail it on their Plan 2000. After they offer Samsung Galaxy S4, ZTE T82, Huawei Ascend D1, Sony Xperia V and Z that all came from Android platform, with Nokia Lumia 920 they are now taking you to a new experience in Windows Phone 8. Starting from its home screen where you can pin easily pin anything important, those live tiles offers real time automatic updates like news feed, texts and more. Al-In Plan 1800 & Plan 200. Note that LTE coverage is only available on specific locations for now. You cannot able to benefit the LTE internet speed if you are in the area where LTE signal is not available but still you can connect with the fastest signal available on your location like 3G/HSDPA/HSPA. Visit Smart to check the list of LTE covered areas. To avail and inquire about this plan you can visit Smart Store nearest you.